SHARE Claim their space! 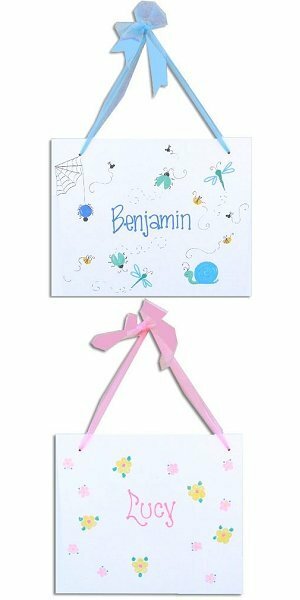 Available with either pink or blue hanging ribbon, these 13" x 15" wall plaques are a fun way for children to declare a room as their own. Hang it on their bedroom door or over their bed/crib. 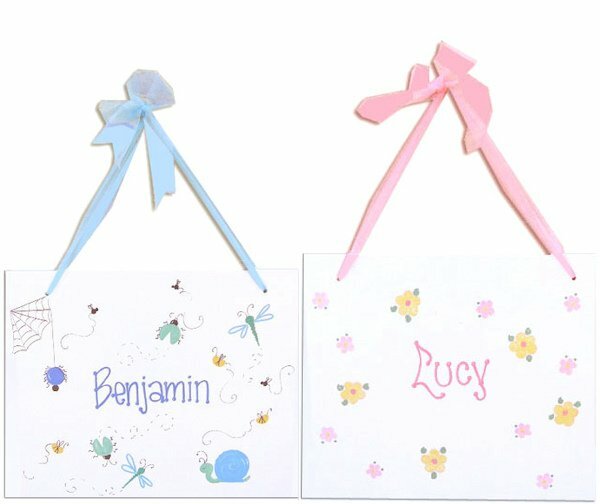 Plaques will be hand-painted with the child's name and one of 70 designs that you choose to match your child's personality. All paint is certified lead-free. A great gift for boys and girls alike!